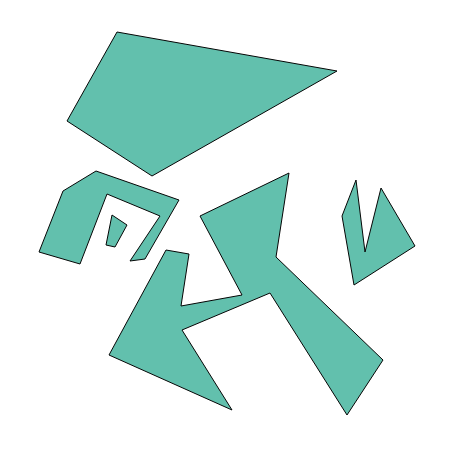 I have a vector file where I have made some polygons but between the polygons I have empty space. This entire empty space I would like to make one whole polygon but until now I can't figure out the way to do it. 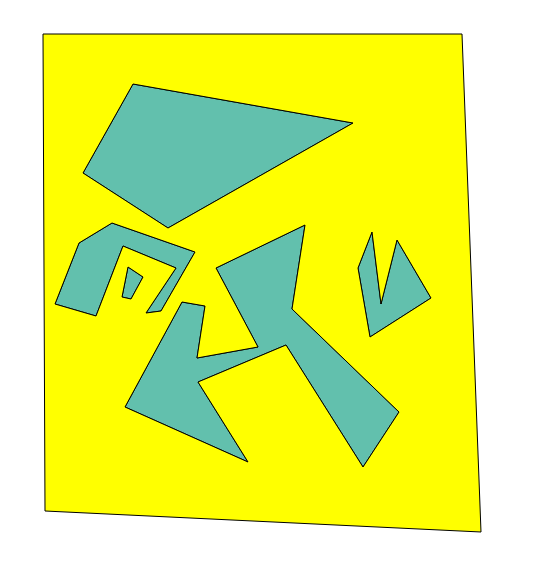 The easiest way to do this is to create a polygon that covers the extent of your area of interest and turn on "avoid intersections" when drawing it. I then turn on snapping: go to Settings > Snapping Options... and for Layer selection dropdown choose Advanced. You must have this set up correctly. I usually recommend a tolerance of 20 pixels, and make sure to tick on "Avoid intersections". 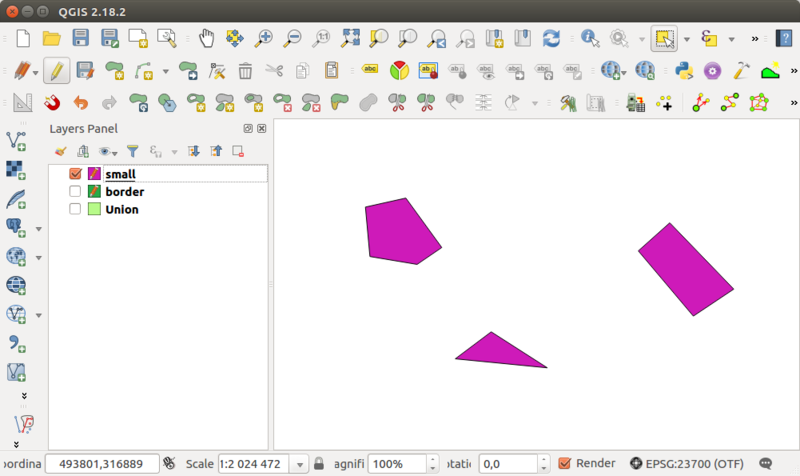 1- In QGIS go to Vector > Research Tools > Polygon From Layer Extent, and use the existing polygon layer as Input File. Choose the Desired name for the output file name of extent layer. This will create a new polygon layer covering all polygons. 2- Use Geoprocessing Tools > Difference: Use the extent layer created in step one as input file and the existing polygon layer as difference file. 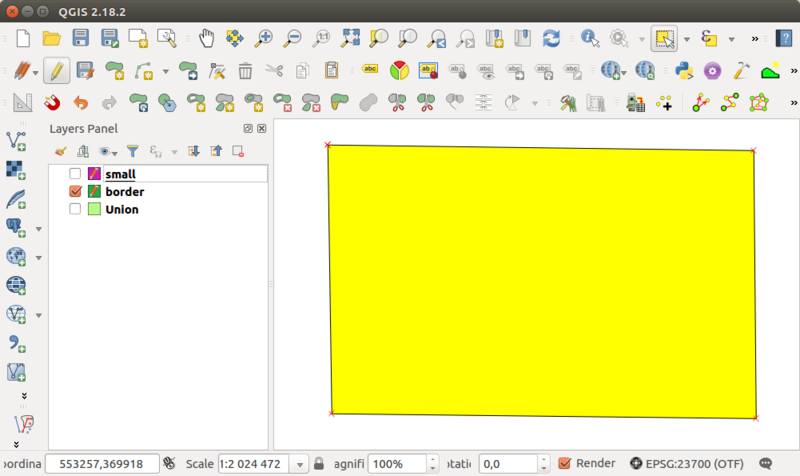 Then You will get an opposite shapefile which covers the empty space. In the result layer above we have four polygons. Not the answer you're looking for? Browse other questions tagged qgis polygon vector or ask your own question. Creating polygon with one click in QGIS?